This anatomical veterinary illustration of the equine stifle joint anatomy with the patella in the locked position was created to be utilized within a powerpoint presentation for equine veterinary students who were studying various gait abnormalities in the hind limb of the horse. 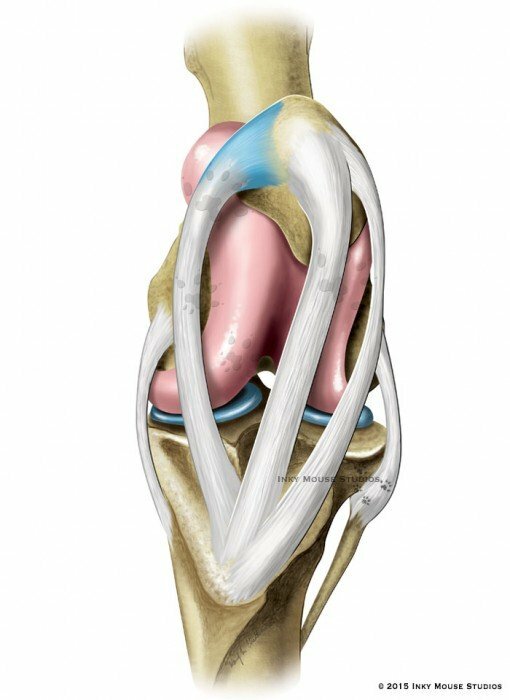 The anterior view allows the viewer to understand and appreciate the anatomy of this complex joint as well as the positioning of the bone and ligament structures as they relate to the function of the stifle joint. The stifle joint is the largest and also the weakest joint in the equine body. It’s unique anatomy allows the horse to lock the joint in an extended position so that it can sleep standing up. 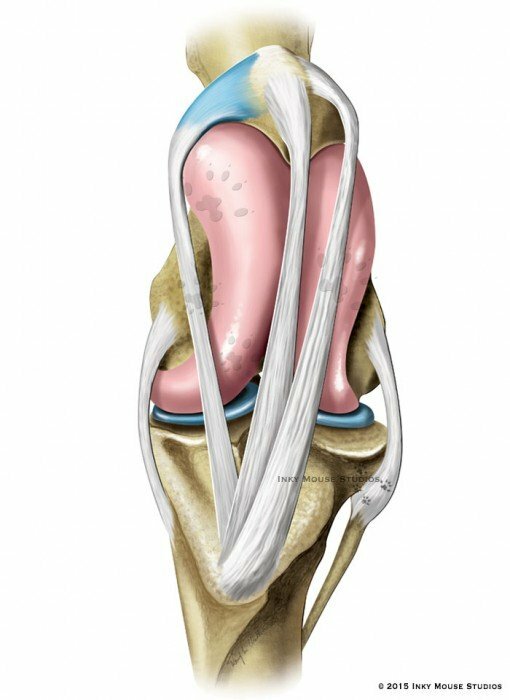 The stifle joint can be affected by a disorder called upward patellar fixation, in which the patella becomes stuck over the medial condyle of the distal femur, locking the stifle joint in extension.